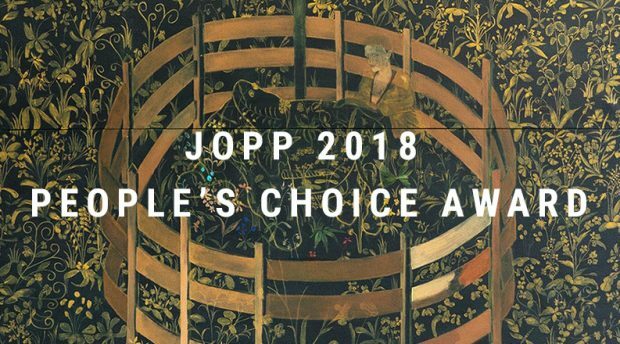 To get the opinion of our varied customer base and to make sure everyone can have their say, we ran a People’s Choice Award with a cash prize of £2,000 as part of the Jackson’s Open Painting Prize. We are delighted to announce that the winner has been chosen; congratulations to Ambrus Gero! 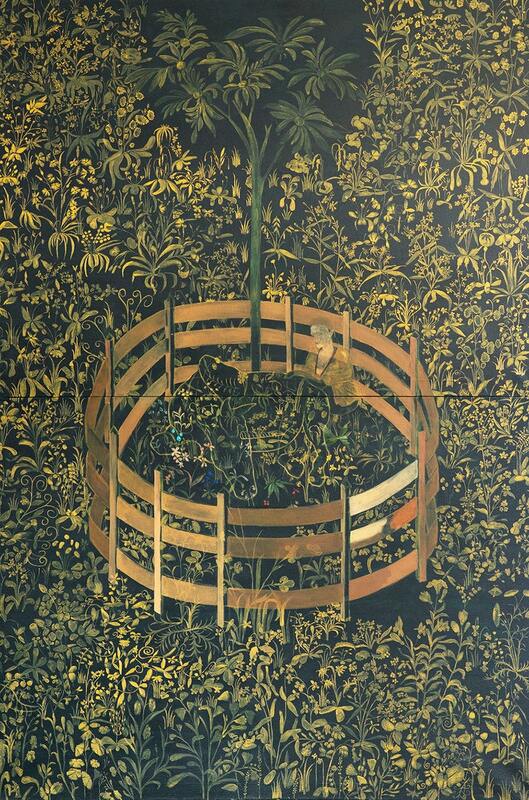 ‘The original piece, called “Unicorn in captivity” hangs on the wall of Cloister, in New York. I was highly impressed by the original tapestry and thought the colourful flowers and the poetic subject of such a mysterious creature were amazing. The girl’s face is minimally portrayed on purpose. Even the unicorn is missing expressing the melancholy and drama that I felt by love. The unicorn is the symbol of the ultimate lover. ‘Most of the time I explore catharsis, state of meditation and also a kind of freaky humour through my works of art. In some cases, the origins of my pictures are rooted in my day-dreams and night-dreams. I use them to speak about the greatness of the world. I choose objects or creatures which are naturally grandiose in size such as monumental statues, big flowers or a piano and alter with their proportions within my work while portraying them in extreme situations; this allows me to play with the relationship between reality and fantasy. I love the technicality of oil painting, the paint allows me to capture specific visual details and create a uniqueness not available in other mediums. Painting allows me to create images have both realistic and expressionistic characteristics, letting me express the feelings and thoughts that are awakened in me by the world. View more of Ambrus’ work here. 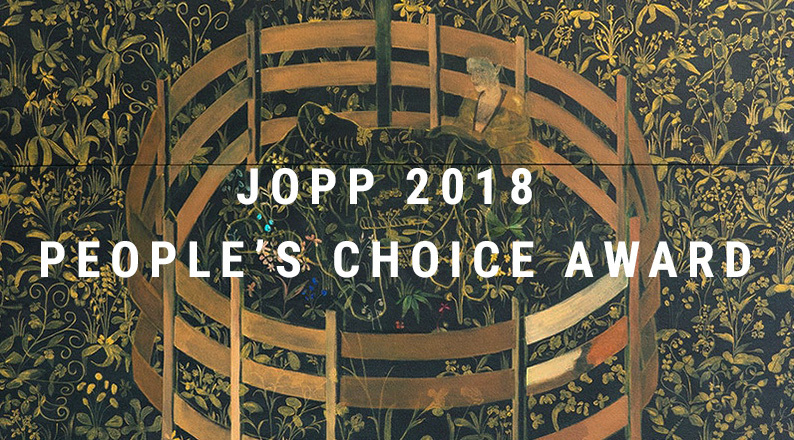 The Jackson’s Open Painting Prize 2019 launches on December 17th. Check back here or at https://www.jacksonspaintingprize.com/overview-2019 to find out the full rules for entering.